Where everything seems possible and nothing is what it seems….enter the labyrinth! From the 1986 film Labyrinth comes Jareth, the Goblin King, as a stylized Pop! Vinyl Figure. 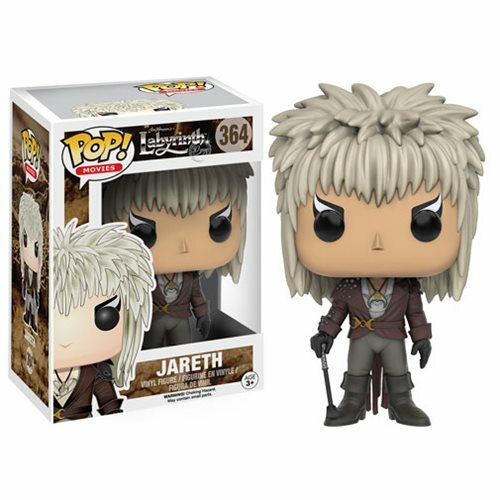 This Labyrinth Jareth Pop! Vinyl Figure measures approximately 3 3/4-inches tall and comes packaged in a window display box. Ages 3 and up.